As we have since July 2006, each Friday we’ll post our sampling of cigar news and other items of interest from the week. Below is our latest, which is the 566th in the series. 1) El Artista announced new promotional offerings for its Big Papi by David Ortiz line. 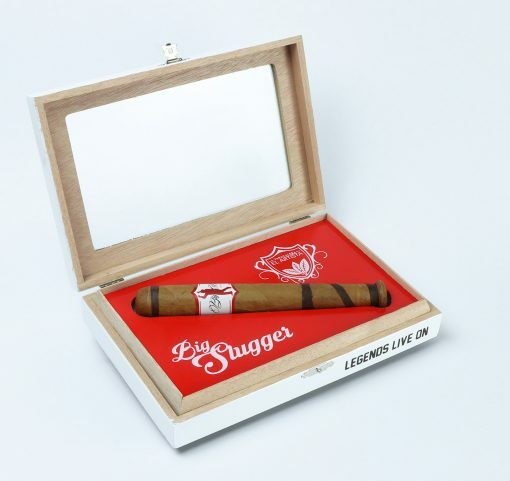 Particularly notable is a large baseball bat-shaped figuardo called Big Slugger which is sold individually for $45 in a glass-top display box. In addition, the company introduced a 50-count humidor sold empty (MSRP $120) or with 20 cigars (MSRP $330). 2) Support continues to grow in Congress for the Traditional Cigar Manufacturing and Small Business Jobs Preservation Act, which exempts premium handmade cigars from FDA regulation. The Senate version (S.294) added Senator John Kennedy (R-LA) as a co-sponsor this week, bringing the number of co-sponsors to 19. Meanwhile, its House companion bill (H.R. 564) has added three new co-sponsors since January 1, bringing its total to 142. 3) Inside the Industry: Oettinger Davidoff AG announced this week it is establishing a new executive position, Chief Commercial Officer, and has selected Jim Young, president of Davidoff North America, to fill the position. According to the announcement, the CCO position was created to help drive sales excellence and share best practices across all markets. Young will retain his responsibilities as president of Davidoff North America but will relocate to Basel, Switzerland. 4) From the Archives: We went to Nicaragua and made our own blends. Then we aged the cigar for three years and checked out the results. 5) Deal of the Week: StogieGuys.com recommends Bespoke Post, a monthly collection of awesome items (think fine bar accessories, shaving kits, workout gear, and more) delivered for just $45. Of note is the Churchill box, which features four cigars, an ashtray made of reclaimed wood, an odor-eating candle, cedar spills, and a cutter. Once you are signed up, there is no obligation; you can skip or purchase each month. Sign up here in the next five days to be eligible for the February box.